New 10’ Long Stainless Steel Conveyor with Railings. High quality, low friction chain, close tolerance UHMW wear strips 50% thicker than industry standard, “splash proof” construction with liquid tight electrical harness and controller: high torque, lubrication free. Timing belt drive: sealed, lubrication free, rust free composite driver bearings. All rails, hardware, end caps and transition plates are included. 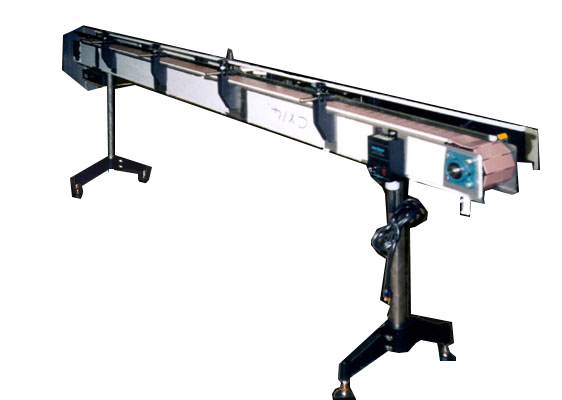 All conveyors come with 4 ½” wide chain belts and an adjustable height, adjustable on 3 axis. Comes with variable speed DC drive. Electrics: 1Ph/60Hz/110V. Delivery: Immediate.